Just wanted to say a big thank you for everyone who voted for Overcooked on Greenlight! 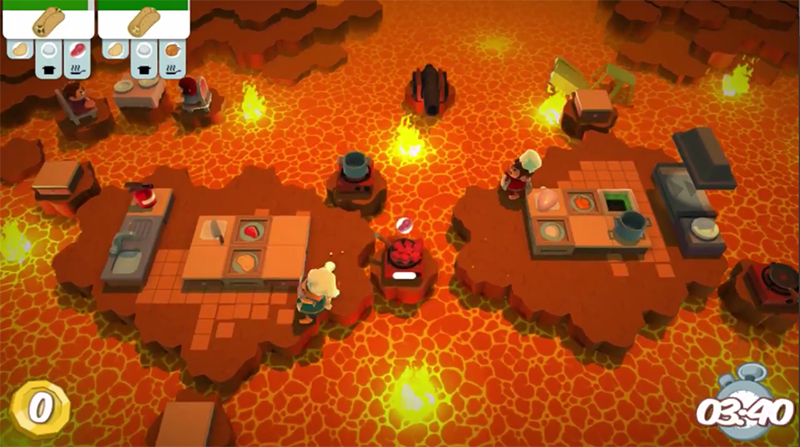 Overcooked is a chaotic co-operative cooking for 1-4 players. Working as a team, you and your fellow chefs must prepare, cook and serve up a variety of tasty orders before the baying customers storm out in a huff. Grab some friends and engage in a co-operative adventure like no other. Teamwork is absolutely essential, as the orders pile in you'll need to co-ordinate your team to stay on top of the action. Divide the kitchen tasks between yourselves while you strive to avoid the various obstacles and traps the level throws at you. You'll scream, you'll bicker, you'll gesticulate wildly as you try to keep your team from buckling under the pressure. Prefer to go it alone? Overcooked's campaign can be experienced by solo players too! Low on gamepads? You and a friend can share one half of a single pad to control 2 different chefs. Literally rub shoulders with your team mates as you take on the world's deadliest kitchens. 4 player action using only two gamepads! i hope this gets on steam,looks cool and i might try it out one day! Overcooked has been Greenlit and is now listed in the Steam store. For the latest information, purchase options, and discussions for Overcooked, please see it on the Steam Store or in the Steam Community.